What Is It With Liberals Tripping Over This Fact About The Jacksonville Shooter? How many mass shootings in your state will it take for you to do something? 1) Gun was bought in Maryland. A state with some of the strictest gun control laws in the country. 2) It was a handgun so assault rifle ban proposals wouldn't apply. 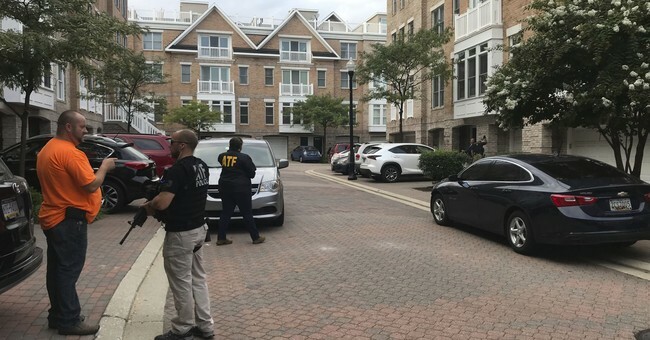 David Katz, a 24-year-old Maryland resident, armed himself with a .45 and a 9mm pistol and then opened fire at a video game tournament in Jacksonville, killing two and injuring at least 12 on Sunday. He bought both guns legally in Baltimore; authorities think he only used one gun in the attack before he committed suicide. Velshi acknowledged at the outset of his segment there was still more to learn about the gunman before he launched into a screed against Florida's gun laws. They have been under fresh scrutiny in the wake of February's mass shooting at Stoneman Douglas High School in Parkland. "As we wait to learn more about the Jacksonville shooter, where he got his gun and how he got it from Maryland to Florida, it is worth looking at the gun laws in Florida," Velshi said on Monday. "Florida does not require a permit to purchase rifles or handguns. It does not require any firearm registration either, or any licensing for gun owners." Maryland has some of the country's strictest gun laws. To buy the guns, he would have had to obtain a handgun qualification license from the state police before buying a pistol or revolver, which would mean submitting his fingerprints, passing a background check and passing a firearms safety training course, CNN reports. Guess what, MSNBC. A lot of states don’t require registration. Maryland requires that handguns be registered, which again, redirects questions as to how Katz was able to buy two handguns, given his ailments, but rifles are not. Generally blue states requires a permit to purchase, which is an egregious obstacle to the full exercise of law-abiding citizens to obtain firearms. These so-called lax gun laws in Florida are not news. It’s not news anywhere, actually. For most states, this has been established law for years. For others, those who have adopted constitutional carry (which is what all 50 states should be) you don’t need a permit to carry. Around a dozen states have adopted these types of carry laws and one of them is Vermont. The media has yet to learn to quit tripping over itself when it comes to reporting mass shootings. They still don’t know the lexicon or the existing laws—and yes, that does matter. If you don’t want to get slapped for not knowing the difference between may issue and shall issue, automatic and semi-automatic, clip and magazine—do some research. You know what a great resource is: the National Rifle Association. Until then, I think the elite media and professional activist class will continue to peddle straight trash about gun laws and the Second Amendment. It’s not about facts; it’s about the narrative. And in this case, the Left’s narrative got filleted. Katz reportedly committed this attack because he lost a game. He later committed suicide.